Hardwood Shutters are great for alternative to traditional blinds if you are looking for a specific style. 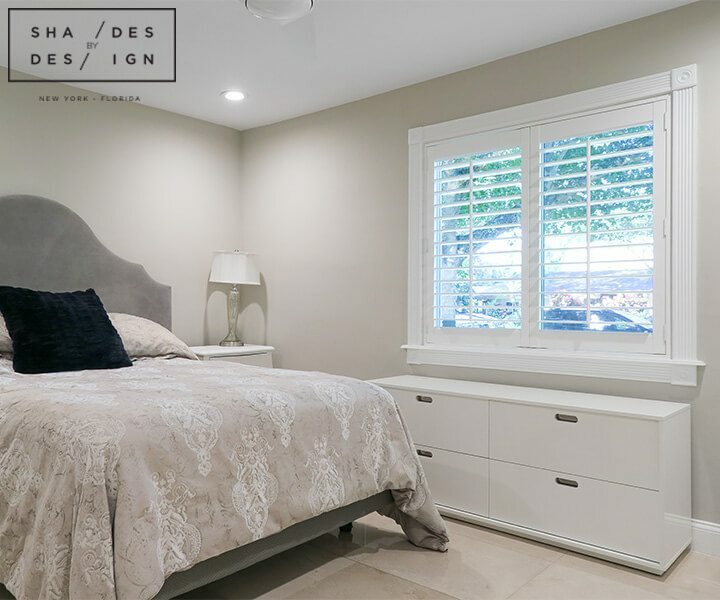 Benefits of wooden shutters include light control, protection again sun and heat (or harsh cold winds if you live in northern states), and they are low maintenance and east to clean. 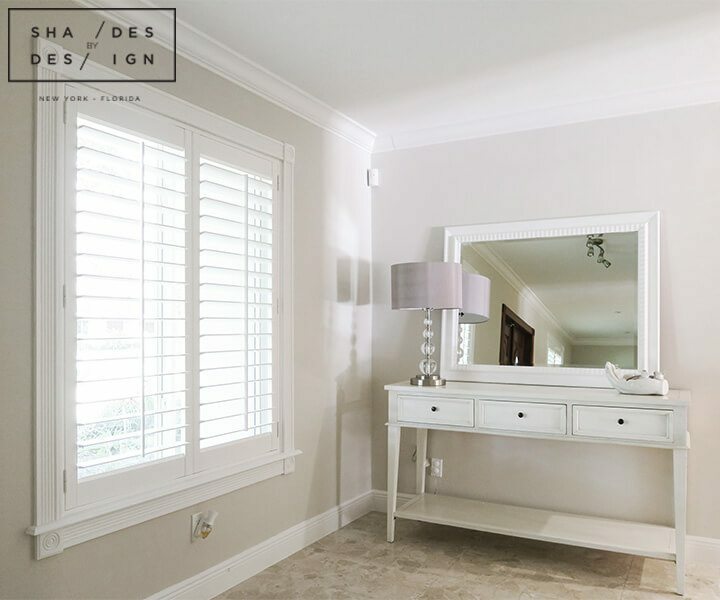 In this home, we installed Hunter Douglas Wooden Shutters in the master bedroom, nurseries, and entrance of the home. Take a look at these beautiful and easy to operate window treatments and how they complement this space so perfectly. 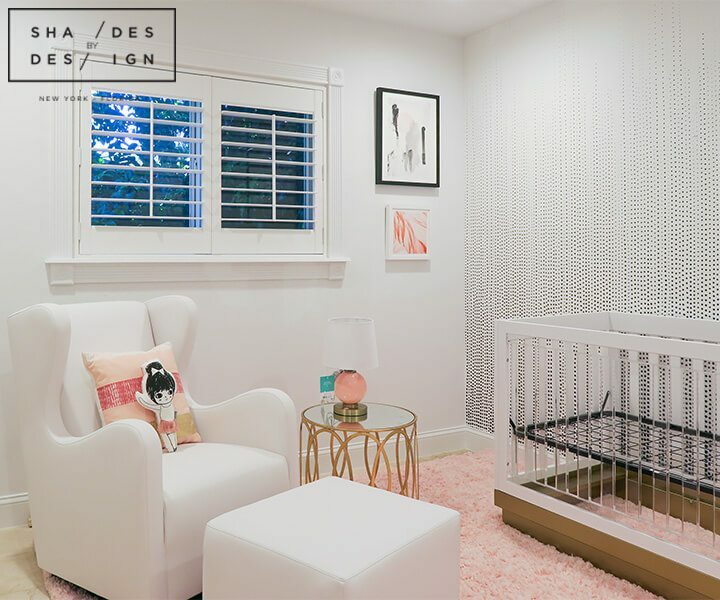 Our expert designers can do the same for your space! Contact us or visit one of our local show rooms today to find out more. 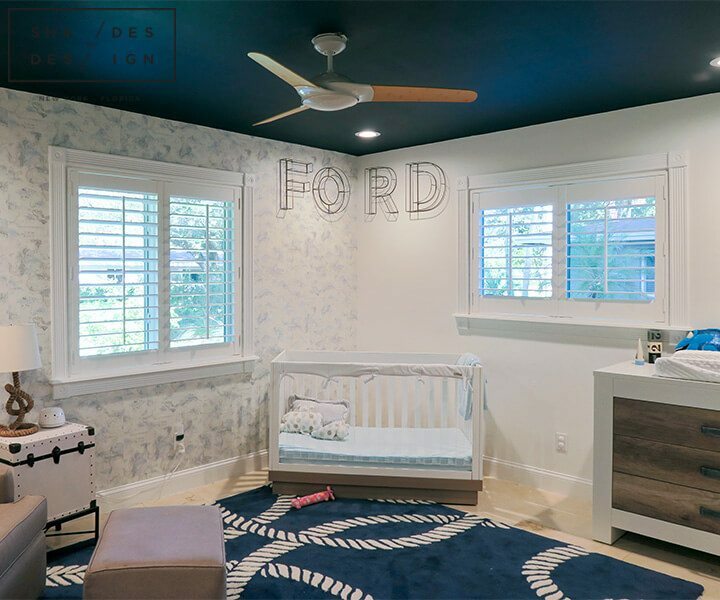 Location: Master Bedroom, Baby Nursery, Entrance. Goal: Install A cordless window treatment that is easy to maintain, blocks heat and sun, easy to operate, and accentuates the décor. 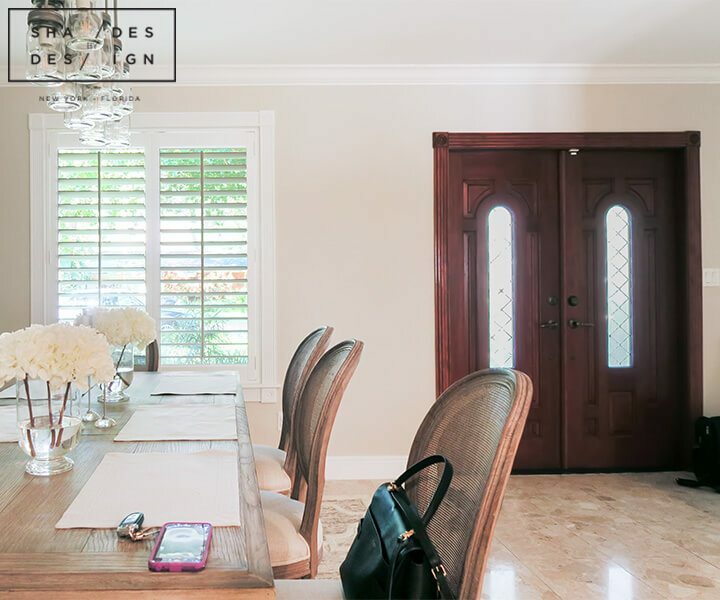 Window Treatment: Hunter Douglas Wooden Shutters.